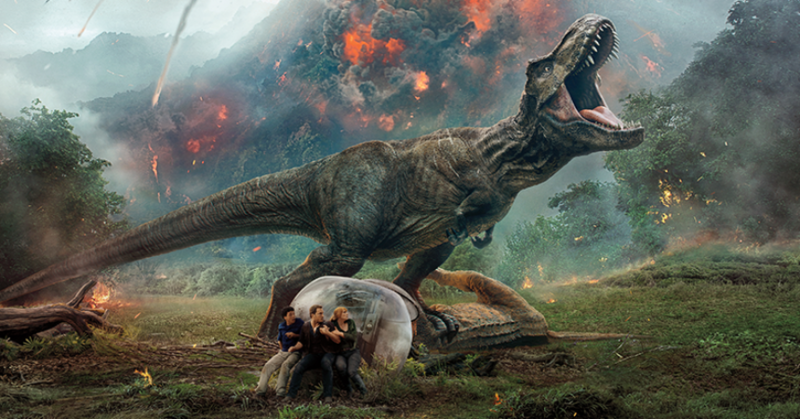 Why is the Jurassic World franchise the only major movie franchise starring dinosaurs? How is that the world we live in? Dinosaurs are awesome! Everybody loves dinosaurs! Why does no other franchise try to grab onto that big, brass thunder lizard ring? Especially when there are so many great dinosaur franchises out there to pick from! I hope the T-Rex is in this one! Far be it for me to suggest Hollywood come up with some original dinosaur ideas. Just do what Hollywood does normally and grab an existing TV or book franchise and give it a live action movie. Why they haven’t done this yet for at least half this list is beyond me. Maybe Steven Spielberg has some sort of iron grip throughout Hollywood on dinosaurs? That’s probably the only excuse I will accept. Dinosaurs are awesome. There are plenty of dinosaur cartoons, video games and books out there. Join me after the jump for my suggestions for new live action dinosaur movie franchises! Dino Crisis was a 1999 video game from the same people that made the original Resident Evil games. It had the exact same gameplay style as the Resident Evil games, only you fought raptors and other dinosaurs instead of zombies. I loved the game, but never got around to playing the low key sequels. 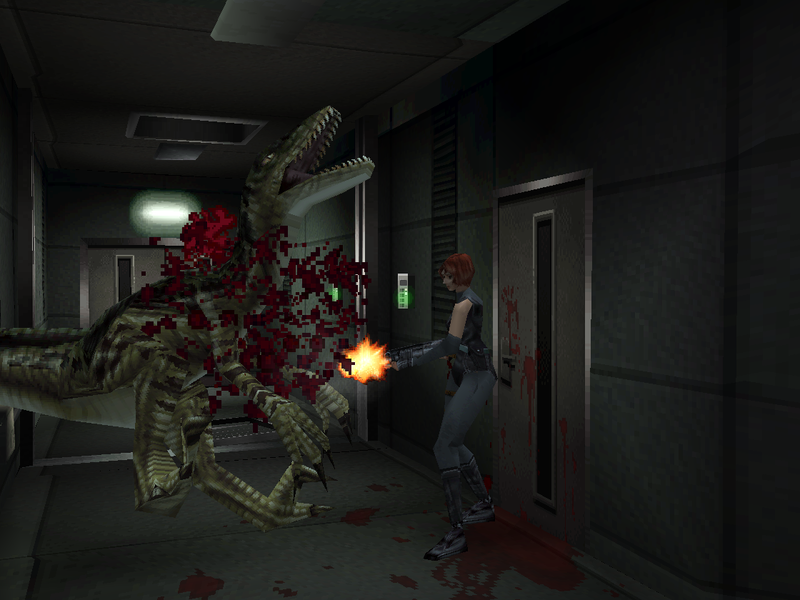 Why Dino Crisis never grew into a Resident Evil-sized game franchise I will never understand. But it’s perfect for a movie franchise! The game stars special operative Regina and her team, who are sent onto a deserted island to investigate weird science rumors. From there, Regina has to survive on a dinosaur island while figuring out what happened, saving the people she can save and then getting away from a big T-Rex. There are a lot of parallels to Jurassic Park, I suppose, but in this game, the heavily armed soldiers doing battle with the T-Rexes will be the good guys! I know that the Dinobots have already shown up in the Transformers movie franchise, but I’m pretty sure we can all agree that those movies are terrible and the Dinobots are too minor of characters. With the coming of the Bumblebee spin-off movie in December, it’s clear that Hollywood is open to Transformers spin-offs. So how about a movie just about the Dinobots? It could be big, crazy and fun, exactly like a movie about robot dinosaurs should be! 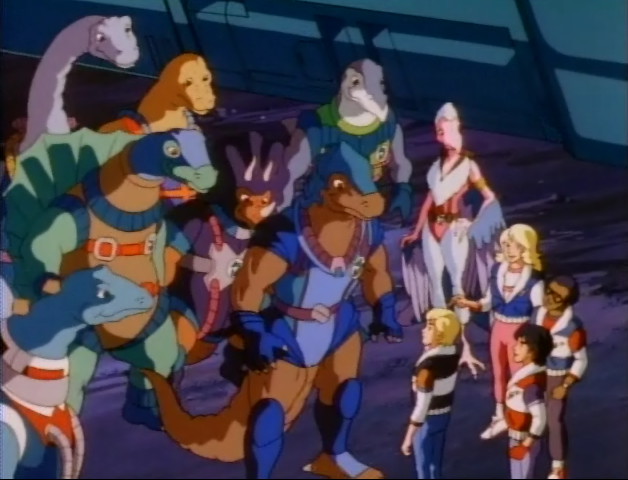 The Dinosaucers are pretty damn weird, but then so were most syndicated cartoons in the 1980s, when you think about it. The Dinosaucers was about two groups of aliens that resembled dinosaurs, the good guy Dinosaucers and the bad guy Tyrannos. There was also a group of human pals called the Secret Scouts. Basically, Dinosaucers was just Transformers over again, but with living dinosaurs instead of mechanical cars and trucks. They were all humanoid dinosaurs, like Allo the Allosaurus leader of the Dinosaucers, and Genghis Rex, the T-Rex leader of the Tyrannos. And they could all transform into normal versions of their dinosaurs when necessary. So like I said, exactly like Transformers, only with dinosaurs. Dinotopia never had a cartoon, which is a shame, but it was popular series of young adult novels, and a TV show for a short period. It’s basically an island where people and dinosaurs co-habitate and work together. 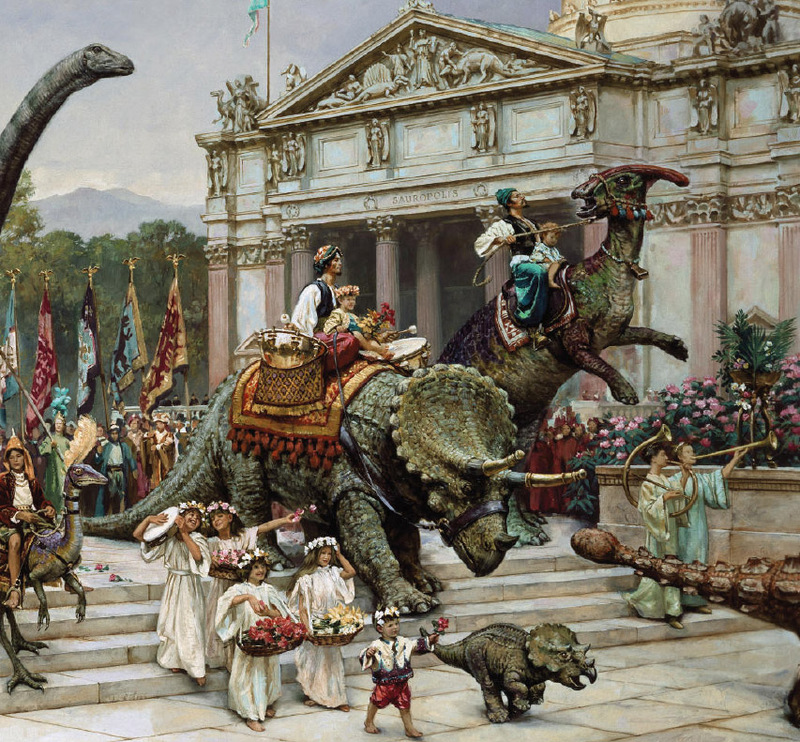 Created by James Gurney, who also illustrated the awesome pictures of dinosaurs and people, Dinotopia was a fun series of novels that celebrated the awesomeness of dinosaurs. See, Hollywood? We don’t always have to be fighting! It doesn’t have to be people vs. dinosaurs all the time! They can be friends! Personally, I know I read a couple of Dinotopia books, but the one I most remember is River Quest by John Vornholt. It was about Magnolia and her lambeosaurus partner Paddlefoot having to restart a dried up riverbed. 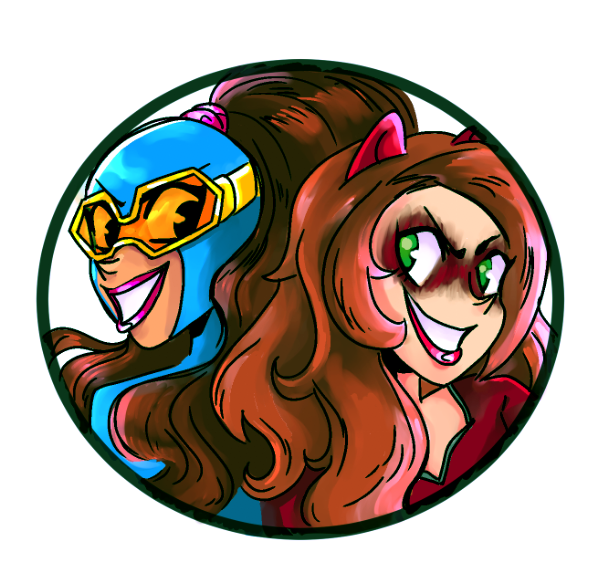 So if they want to make a movie, focusing on my personal favorite story would be the best bet. There are a million and a half sequels to the original Land Before Time cartoon, of which I have seen none. But I did watch the original a million times as a kid. It was a personal favorite! So how about a live action movie using the same motion capture technology that’s giving us all these live action Jungle Book movies? Or the upcoming Lion King film? 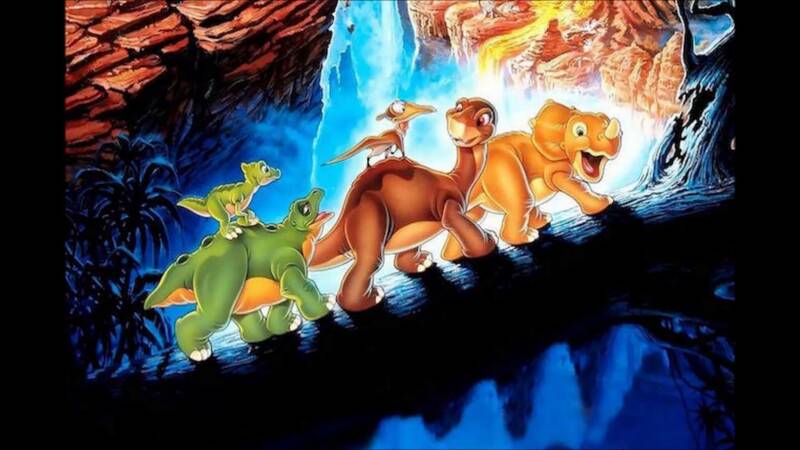 If we can make those movies about modern day animals, why not one about CGI dinosaur children on a brave quest to find the Great Valley? Then you can once again make a bunch of crappy CGI sequels that only the most brainless of children care about. Everybody wins! Why isn’t there any modern day Dino-Riders media? Why did this brilliant idea grind to a halt after a crazy toyline in the 1980s? How does that picture not fill your brain with desire and imagination? It’s good guy humans vs. bad guy aliens, all of whom turn real dinosaurs into walking tanks! They ride augmented dinosaur tanks! And go to war! Is there any cooler visual in the entire world?! Once again, I dispute the idea that the only dinosaur movies can involve dinosaurs hunting people in theme park settings. 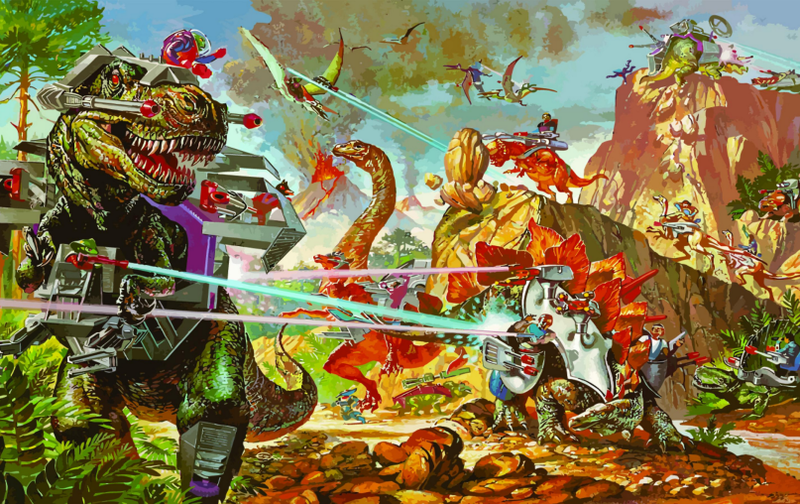 I want a franchise where people and dinosaurs work together to wage futuristic laser war against aliens! Posted on June 20, 2018, in Lists of Six!, Movies. Bookmark the permalink. 1 Comment.